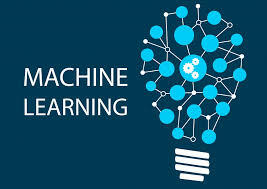 Machine learning is the sub field of computer science that, gives “computers the ability to learn without being explicitly programmed.” Evolved from the study of pattern recognition and computational learning theory in artificial intelligence, machine learning explores the study and construction of algorithms that can learn from and make predictions on data – such algorithms overcome following strictly static program instructions by making data-driven predictions or decisions, through building a model from sample inputs. 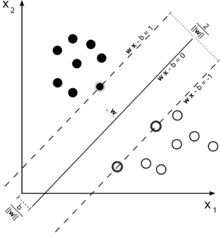 Machine learning is employed in a range of computing tasks where designing and programming explicit algorithms with good performance is difficult or unfeasible; example applications include email filtering, detection of network intruders or malicious insiders working towards a data breach, optical character recognition (OCR), learning to rank and computer vision. Machine learning is closely related to (and often overlaps with) computational statistics, which also focuses on prediction-making through the use of computers. It has strong ties to mathematical optimization, which delivers methods, theory and application domains to the field. Machine learning is sometimes conflated with data mining, where the latter sub field focuses more on exploratory data analysis and is known as unsupervised learning. Machine learning can also be unsupervised and be used to learn and establish baseline behavioral profiles for various entities and then used to find meaningful anomalies. As of 2016, machine learning is a buzzword, and according to the Gartner hype cycle of 2016, at its peak of inflated expectations. Because finding patterns is hard, often not enough training data is available, and also because of the high expectations it often fails to deliver. Reinforcement learning: A computer program interacts with a dynamic environment in which it must perform a certain goal (such as driving a vehicle or playing a game against an opponent). The program is provided feedback in terms of rewards and punishments as it navigates its problem space. Among other categories of machine learning problems, learning to learn learns its own inductive bias based on previous experience. 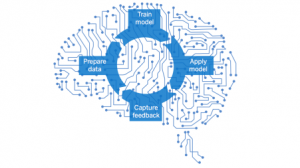 Developmental learning, elaborated for robot learning, generates its own sequences (also called curriculum) of learning situations to cumulatively acquire repertoires of novel skills through autonomous self-exploration and social interaction with human teachers and using guidance mechanisms such as active learning, maturation, motor synergies, and imitation. In classification, inputs are divided into two or more classes, and the learner must produce a model that assigns unseen inputs to one or more (multi-label classification) of these classes. This is typically tackled in a supervised way. Spam filtering is an example of classification, where the inputs are email (or other) messages and the classes are “spam” and “not spam”. The Above mentioned is a brief about Machine Learning. Watch this space for More Information on the Latest trends in Technology.